I have had several hours to myself this morning. It’s been quiet. Lady didn’t even join me for the first hour. So, what did I do? 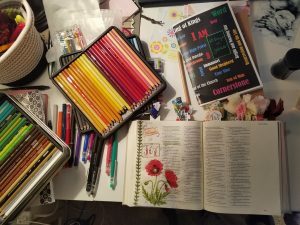 I journaled. Sometimes my creativity is a little off and I just don’t feel like spending time with God this way, but today, it was precious. Several years ago, a friend showed me the technique of using paper napkins and Modge Podge to create a beautiful, water color effect. As I was getting ready for an upcoming Creative Bible Journaling class, I found some fun napkins and thought I’d share the technique with my ladies. But then, I saw the red poppy napkins! I smiled from ear-to-ear. Why? Because I love red poppies. Years ago, when I was into making Ukrainian Eggs, I learned that each symbol and color had a unique meaning. And that red poppies represented joy. You see, joy has deep meaning for me. Yes, Scripture is filled with the word joy. I find great joy in being in God’s Word and deepening my relationship with Jesus. There is joy in serving Jesus. These are all so important in my life…the most important in my life. But, “joy” has become a family name. My middle name is Joy. My youngest daughter’s name is Joy. And my granddaughter’s first name is Joy. Because of this, my house is filled with the word “joy.” Every time I see the word or see the symbol that represents “joy,” I remember. I remember my daughter and granddaughter. I remember all the things that bring me joy. But most of all, I remember where my joy comes from. Jesus. The Scripture I journaled this morning is Psalm 16:11. It says, “You make known to me the path of life; you will fill me with joy in your presence, with eternal pleasures at your right hand.” (NIV) What joy I find in these beautiful words! I pray that you will have a little time to spend with the Lord today. Find your special way to spend time with Him. Then pay attention to the joy that He brings to your life. September has become a very important month for me. It is NICU Awareness Month! Perhaps you don’t know my story, so today I thought I’d share a little about why this is so important to me. In August 1982, I gave birth to my first child. A son. I anxiously awaited the birth of this child. I didn’t know if I was having a boy or a girl, but I knew this babe would be loved and cared for to the best of my ability. Finally the morning arrived and I was heading to the hospital to welcome this child into the world. It went fast. At 12:30 pm Philip Daniel Fairchild arrived on the scene. While I was being cared for, they whisked Philip off. I didn’t know why at first, but finally they told me that he was in serious condition. The small hospital where he was delivered couldn’t care for him, so they quickly transported him to the NICU at Akron Children’s Hospital in Akron, Ohio. I was in shock at this point. Philip was moved so quickly that I didn’t even have an opportunity to hold him. 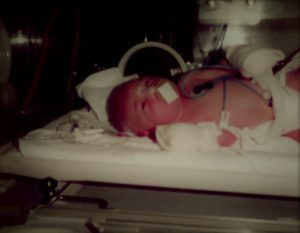 Once they had him in the NICU they knew what was wrong. Philip had been born with meningitis. My doctor visited me and told me the news. He also said that they didn’t expect Philip to survive the night, so he released me to go be with my son. I left the hospital at 6:30 pm. What a day that was! Being in the NICU was so overwhelming. There were multiple isolettes scattered throughout a large room. There were bright lights and beeps from monitors. Nurses were working diligently with all the babies and when I finally saw Philip I was overcome by it all. The picture of my beautiful baby boy in this situation was one of the most difficult things I’ve ever experienced. And probably the worst thing was that I couldn’t hold him. I could touch him, but that was all. I know I heard lots of details and statistics, but all I really remember is that they didn’t give us much hope. Unfortunately, I got very sick almost immediately. A high fever kept me from spending any time with Philip for several days. I really don’t know the first day I was able to hold him…he was a few days old. But what I do remember is how wonderful it felt to have him in my arms. By this point the antibiotics were doing their job and his body was healing from the infection that had taken up residence in his body. They could assure his survival, but still the statistics were not very promising. After two weeks in the NICU, I walked out of the hospital with Philip in my arms. That was a day to remember. So how did I survive this difficult situation? Prayer. A lot of prayer. Not only was I praying, but there were friends and family members praying for Philip from the moment they moved him to the NICU. I leaned in to God. God provided the strength and courage to wake up each day and fight the battle that I faced each day. And I’ll never forget the way my family and my friends surrounded me with love and support. I couldn’t have made it without them. What is my encouragement for you if you’re facing a similar situation? Do the same things I did. Lean in to those who love you most. Remember, “The Lord is close to the brokenhearted and saves those who are crushed in spirit.” (Psalm 34:18 – NIV) And “Though one may be overpowered, two can defend themselves. A cord of three strands is not quickly broken.” (Ecclesiastes 4:12 – NIV) There is no reason to do life alone. Circle up with those who desire to help you through these most difficult situations. I would also encourage you to find wonderful organizations like Little Lambs of Hope (littlelambsofhope.org) who have some encouragement for you. I am so blessed to be part of Little Lambs of Hope and know that it is our desire to come along side anyone who is in need. As a quick plug, if you have a desire to help us help others, your financial gift to Little Lambs of Hope would be a special blessing. Would you be willing to help? 36 years later, I see my first-born child as a loving husband and father. Philip is walking with the Lord in a daily relationship with Him. I am so proud of the man he has become. I can’t say it’s been smooth sailing, but I know on this side of it, that God has been with me through it all. As I’ve learned to lean and depend upon Him more and more, I know that His grace and peace covers me sufficiently (2 Corinthians 12:9). I pray the same for you. PS – I recently read a wonderful book by Kelly Balarie called “Battle Ready.” What an amazing read! If you are in need of finding a way to be battle ready, this is a read for you. I can hardly believe that September 1 is upon us. Well, I shouldn’t really be surprised…Pumpkin Spice Latte’s have arrived! This is my favorite time of the year. The leaves changing color. Cooler temps at night. Pulling out those beloved sweaters. Drinking a mug of hot tea (okay I do that all year long). And switching all my summer decor to autumn colors. Yes, this is a beautiful time. September also brings routine to my life (and to most people). Bible studies will begin. Connections will be made. The lazy days of summer are gone and the joy-filled life of fall stirs an excitement within my soul. There are two things I’d like to share with you today. 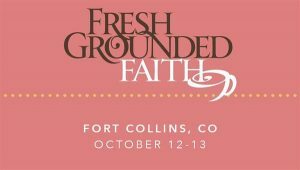 Secondly, our Women’s Ministry at Rocky would love for you to join us at the Fresh Grounded Faith Women’s Event in Fort Collins, Colorado on October 12 and 13. Jennifer Rothschild, Karen Kingsbury and Michael O’Brien will lead us as we laugh, learn and worship together. If you’re only going to one event this fall, you should make it this one! You can purchase your ticket by going here. I would also mention that it’s not too late to get involved in a Bible study. Anywhere. Wherever you are. Get connected with a group of like-minded ladies who love Jesus, who can encourage you through God’s Word and help you deepen your relationship with Jesus. If you live near me, let me know how I can help you get connected. Don’t allow another season to pass you by. I can guarantee that you will be blessed. My life has been a whirlwind since January. I’ve been super busy with work, preparing and leading multiple Bible studies. I’ve loved every moment of getting into God’s Word. But summer has arrived, and I am entering a “slower” time. Not quite the lazy, hazy, crazy days of summer, but I feel like I can relax a bit and allow my mind to stop occasionally. Someone asked me yesterday what I did for fun or to relax. My first thought was my creative Bible journaling. I enjoy that quiet time with God, as well as leading a group of ladies through the summer. But then it hit me. I love to write. And what better way to get all that’s in my mind out? So, I’m back this morning! Writing! It feels good. Really good. Women’s Ministry at Rocky is growing at a fast pace! I will be stepping out of our Thursday morning Bible study group (called WBC) and a wonderful team will be taking that program to new heights. I really can’t wait to see what happens. I will be jumping into MOPS this fall. What a lovely group of mommas we have at Rocky! And the leadership is outstanding. I will enjoy being a mentor mom and helping in leadership. There are lots of other opportunities at Rocky for women to get connected. I am truly amazed at what God is doing through this ministry. If you are local and want to find connection, just ask. I can help. I still work closely with our Lead Pastor, Shan as his executive assistant. Sometimes I feel inadequate, but he assures me I’m not. I’m so thankful for him. So that’s my ministry update. I could say a lot more, but I don’t want to bore you on my first day back. Personally, I’ve had some health issues. Last November (the week before Thanksgiving), I was diagnosed with gall stones and acute pancreatitis. They settled my system and then gall bladder surgery. I still can’t eat a lot of fried foods but doing well on this side of gall-bladder-less-ness. 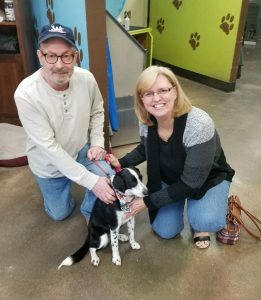 And then my husband and I had been looking for a dog to adopt. We finally found Lady. Oh, my heart is smitten. She’s so adorable (except when she escaped and chased a rabbit to the other side of the neighborhood) and I enjoy being her mom. She’s a great companion for my husband who is home (retired) while I’m off working 12-hour days. We are truly blessed. Another wonderful thing that has happened in the past few months is that I was asked to be on the board of a local non-profit that helps NICU families and supports them while their fragile babies are in the NICU. 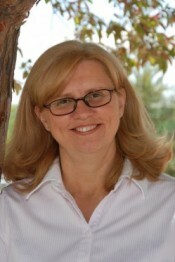 If you have a desire to find out more about Little Lambs of Hope, check out our website: www.littlelambsofhope.org. Seven years. It’s hard to believe that it’s been seven years. Thinking of you today Archer. You’ll always be in my heart. I raise my eyes toward the mountains. Your Protector will not slumber. does not slumber or sleep. the Lord is a shelter right by your side. or the moon by night. He will protect your life.